Whether you’re pitching to potential investors or recapping last quarter’s earnings, chances are you’re going to have to put together a deck to accompany your presentation. Rather than slapping together a dull, uninspired PowerPoint that’s sure to bore your audience to tears, create one that’s designed to impress with PoweredTemplate. 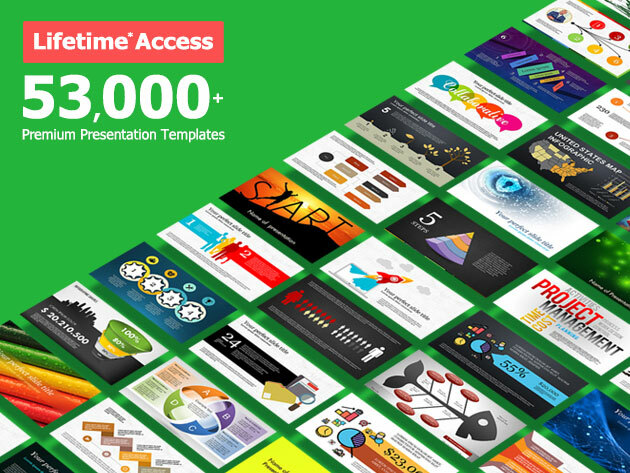 This massive PowerPoint template library sports more than 53,000 professional templates for presentations, charts, graphs, and more that are pre-formatted and editable, so you can easily create the perfect presentation to keep your audience engaged.